AFL Fences has proudly served the Lincoln community since March 2007 by providing exceptional customer service and quality products. Locally owned and operated by Travis Kramer, who has 11 years of professional fencing experience and expertise, AFL Fences is a proud member of the Lincoln Chamber of Commerce. AFL Fences also has been a Better Business Bureau accredited establishment since 2009. 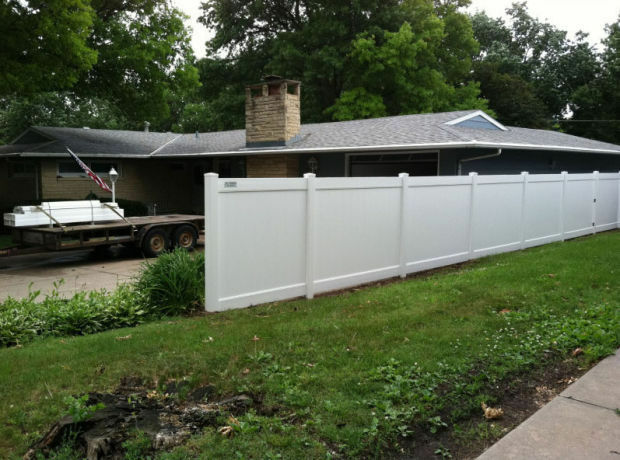 AFL Fences, which takes care of residential customers and also handles commercial clients within a 35-mile radius, can be contacted at 402-499-6454. You also can visit our website at www.aflfences.com or send us an email at aflfences@hotmail.com. 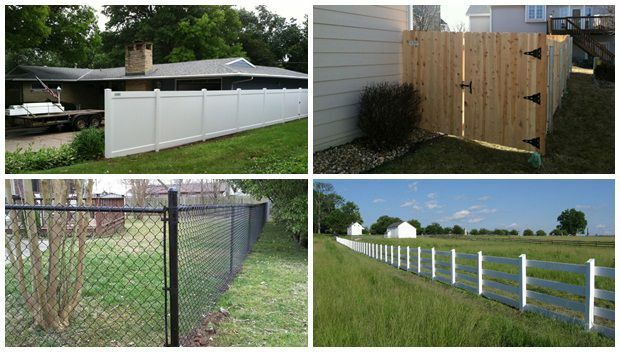 AFL Fences has become an industry leader in Lincoln, NE because of our honesty. Sometimes customers know exactly what they want and that is great, but sometimes what they want will just not work or will not look as good as they think. We always strive to give the customer what they want but we also will step in and help you with our years of experience to understand what will truly make your yard or acreage look beautiful. Ever had a contractor come to you at the end of the project and say "Oh by the way, this and that come up or happened so here's some additional costs that I had to tack on." You'll never hear that from AFL Fences. We believe you deserve to know actually what the project will cost, in the beginning. On top of it all, I’m proud to say that we are locally owned. This business was started from the ground up and when we walk away from the job we want the customers to take great pride in their latest investment and proudly say to their friends, family, and neighbors that they have a fence installed by AFL Fences. We offer a wide range of exclusive products and solutions at affordable prices. Our distribution center ships only goods of the highest quality to our valued customers. If you are not completely satisfied, we will refund your money. Small or large, your request will be met with expert advice, individualized attention, and innovative solutions. Contact us and discover all we have to offer. Our qualified staff is looking forward to serving you! Our Country Estate and G-Line vinyl is made right here in Nebraska by Nebraska Plastics, Inc. in Cozad, Nebraska. Other than the traditional white, we have almond, grey, and adobe colors. Country Estate vinyl fence is the strongest vinyl fence on the market. Many customers choose our vinyl fence because it is free from the traditional maintenance of a wood fence and provides an increased property value. The bright white polymers compounded exclusively by Country Estate make it appear ageless. The durability and life-long strength of the PVC compounds used in the manufacture of Country Estate fence produce residential and rail fences that endure the test of time. 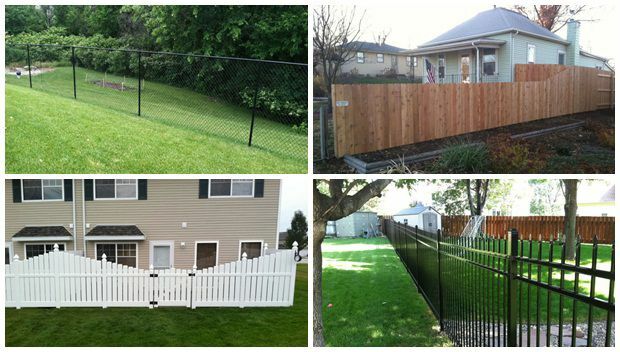 Our fences do not discolor, are free from chipping, cracking, and don’t become brittle from the cold. Once properly installed, Country Estate vinyl is a maintenance free product and also provides an industry leading 50 year product warranty. For horse lovers, our standard 3 or 4-Rail fence is very popular and has the beautiful look that will last a lifetime. Once properly installed, Country Estate vinyl is a maintenance free product and also provides an industry leading 50 year product warranty. With over 50 styles and 4 colors to choose from, our vinyl fence comes in any size as well so please let us help you in the planning and installation of your vinyl fence today. Even though we are moving into a new era where maintenance free products are becoming more popular, wood fences are still a very popular option for homeowners. The only downsides to wood are it doesn’t last forever and in order to get a full lifespan, it should be properly stained. The two types of wood we provide are cedar and pressure treated pine. If you want the traditional picket fence or a very popular shadowbox style, we can do that for you too. If you want to do a decorative style fence to make it more custom, just let us know and we can do that as well. Or for those of you that don’t want to fix that wood fence post that rotted out, we can offer you a galvanized steel post that will last much longer. Sometimes customers need a fence to keep their kids or pets in the yard but they don’t want to put up a privacy fence; Chain link may be for you. It will allow your yard to be open to all neighbors and it won’t make your yard seem too small or confined. We have the traditional galvanized chain link and the always popular black vinyl coated chain link that provides more elegance. For the contractors out there, we have all sizes available to provide you a strong and durable commercial chain link fence. If you want to keep your yard open and you’re looking for the most decorative and elegant look for a fence that you can get, an ornamental look of steel or aluminum is the way to go. Many new homeowners associations and golf courses only allow this, or you may have seen these fences up around pools at apartment clubhouses. The only thing you must decide is if you want the strength of the Ameristar built steel fence that provides a 20 year warranty or the clean look of the Courtyard aluminum which never rusts and provides a limited lifetime warranty. Ask us and we can help you decide which ornamental fence fits you best. For those of you big pet lovers on acreages that have cattle, horses, goats, or sheep, we have a variety of farm fences available for you. If you raise cattle, a standard 4 or 5 barbed wire fence may best suit you. We have H-Braces built to perfection and a line as straight as an arrow so that when you look down that fence line you can proudly say that AFL Fences built your barbed wire fence. We use standard pipe gates that come in many sizes and we also build barbed wire gates with easy open latches that anyone can open and close. For the contractors out there, we have all sizes available to provide you a strong and durable commercial chain link fence. We also offer ornamental iron / aluminum fencing options. 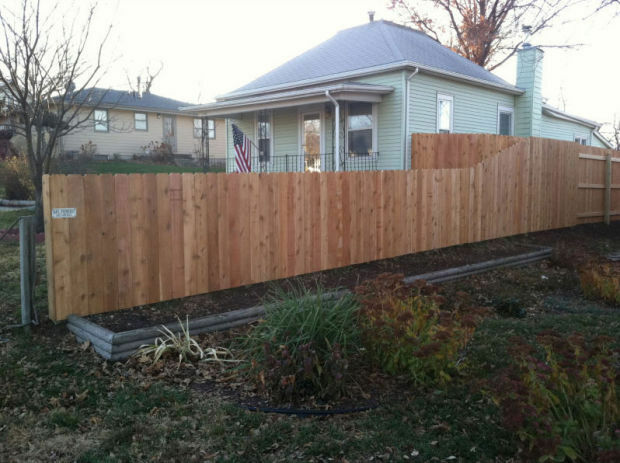 Call AFL Fences today at 402-499-6454. Sometimes customers need a fence to keep their kids or pets in the yard but they don’t want to put up a privacy fence; chain link may be for you. It will allow your yard to be open to all neighbors and it won’t make your yard seem too small or confined. We have the traditional galvanized chain link and the always popularblack vinyl coated chain link that provides more elegance. AFL Fences has proudly served the Lincoln community since March 2007 by providing exceptional customer service and quality products.